The international arms trade is about to become a national problem...In 2012, in a Middle Eastern souk, CIA agent Miles Brookhaven was attacked. At the time he was infiltrating rebel groups in the area. No one was certain if his cover had been blown or if the act was just an arbitrary attack on Westerners. Months later, the incident remains a mystery. Now, Liz Carlyle and her Counter Terrorism unit in MI5 have been charged with the task of watching the international under-the-counter arms trade. With the Arabic region in such a volatile state, the British Intelligence forces have become increasing concerned that extremist Al-Qaeda jihadist are building their power base ready to launch another attack. As the pressure mounts, Liz, and her team must intercept illegal weapons before they get into the wrong hands. When MI5 learns that the source of the arms deals is located in Western Europe, Liz finds herself on a manhunt that leads her to Paris, to Berlin and into her own long-forgotten past. 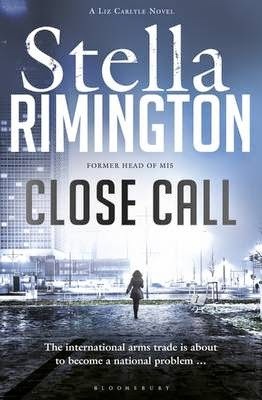 A past buried so deep that she thought it would never resurface ... Close Call is by Stella Rimington and is due to be published in July 2014. The Black Grotto is by Conor Fitzgerald and is due to be published in August 2014. There's no cure for murder. Commissario Alec Blume, on health leave and fleeing his partner Caterina, has retreated from Rome to central Italy. At the Villa Romanelli he enrols on a natural remedies course conducted by a young woman named Silvana. But far from recuperating or resolving his differences with Caterina, a feverish Blume becomes isolated and sluggish with sickness. Increasingly ill at ease in the stifling environment, the dark history of the crumbling villa and its once-magnificent gardens draws him in. And when a Romanian girl who works for Silvana's ambiguous fiancé Niki asks for his help, Blume finds himself dragged into the shadowy case of a missing girl, and the secret horrors of the garden's malign beauty. Three brothers come together in this uncompromising debut about a gun deal gone wrong. Huddy Marr, the proprietor of Blue City pawnshop in Memphis, knows jewellery, guns, and guitars. When a long-time client dies, Huddy is called to appraise his considerable gun collection. If he can buy up the guns, Huddy knows he can make a killing and finally move to a less seedy part of town. But he needs cash up front, and for that he needs help from his brothers. But there is trouble inherent in these wares, and in this family. And in this city a change of fortune doesn’t come easy. Stephen Schottenfeld’s first novel is a masterful depiction of a business and a family, and an examination of class and law, loyalty and betrayal, and blood. 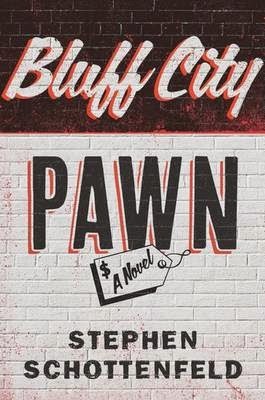 Bluff City Pawn is due to be published in October 2014.